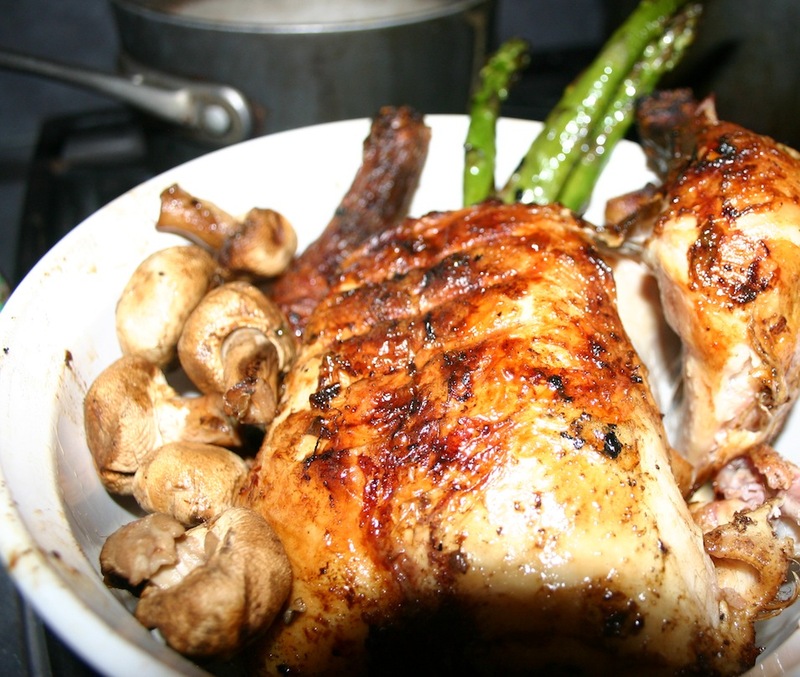 Whether grilling for Lag BaOmer this weekend, Memorial Day or all summer, this beer chicken is what you’ll want to serve. Not a bad choice of beer for a chicken, right? And then pair it with every sort of vegetable in your fridge. There’s hardly anything that doesn’t taste fabulous with a little oil, salt and pepper on the grill, even plantains. There’s no recipe necessary here. 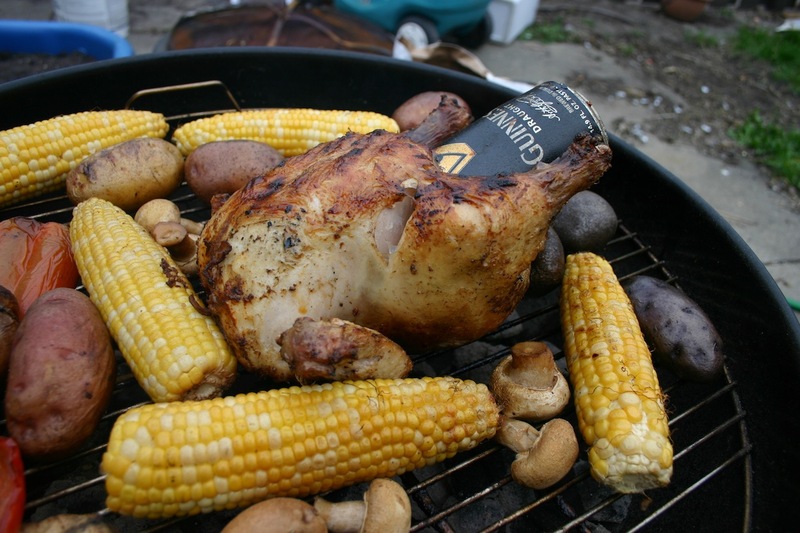 Simply open a can of beer and plop your chicken over it. Rub it with oil (I used grape seed oil), salt, pepper, garlic, paprika, cumin–you name it. Then place it over medium heat. 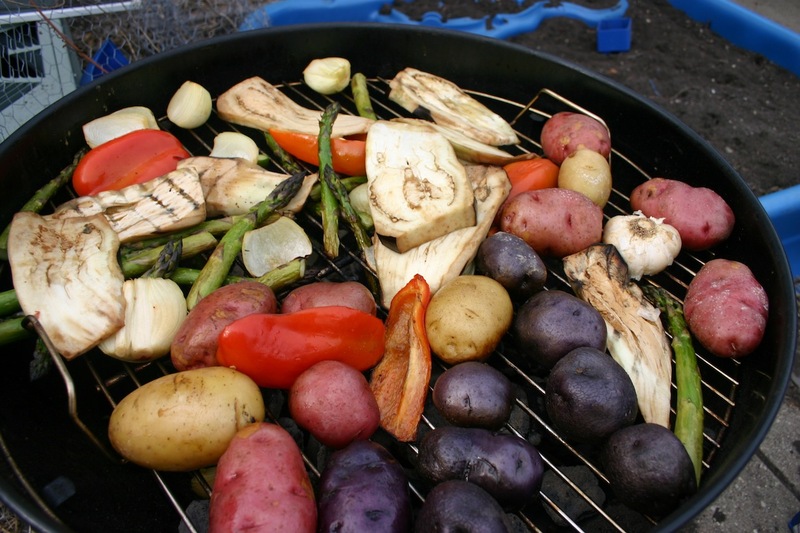 If your grill won’t shut over it, you can lay it on its side, with the beer can slanted so that it doesn’t all spill out. Shut the cover and let it cook for 30-40 minutes. If it’s on its side, you’ll have to turn it after about 15 minutes. Might want to take the beer out before serving.